· Style five Christmas Animal Hair Salon clients and create tons of crazy winter looks! · Wash, shampoo, dye, shave, cut, trim, curl and comb hair, fur and beards! · NEW! 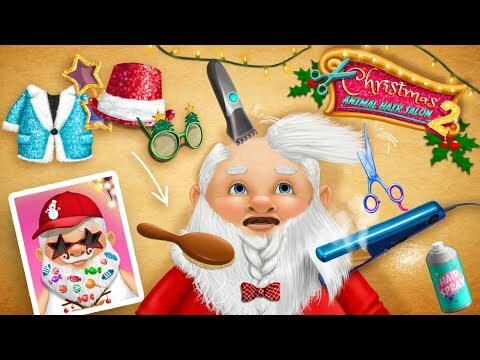 Find the best style for Santa: shave, straighten or style his beard! · Shower and shampoo reindeer Rudolf, brush his fur and shave his beard! · Clean up baby bear Chloe, brush her teeth and try on new crazy cute hairstyles! 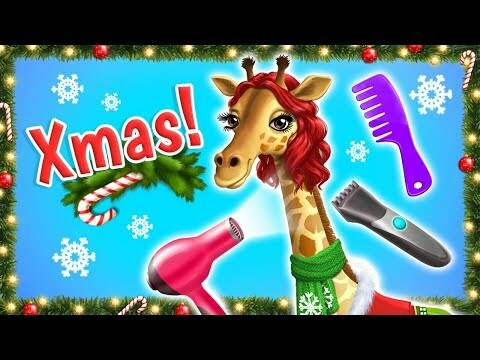 · Wash and shave giraffe Rachel’s long legs, do manicure and makeup, and dye her hair red! · NEW! 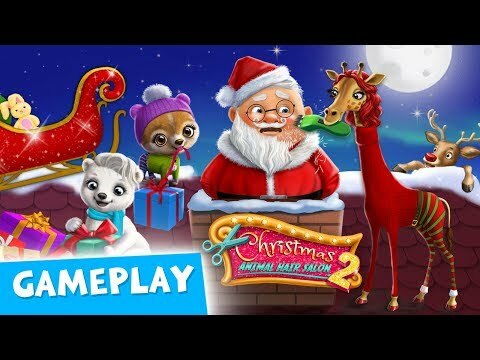 Play five different dress up games and design Christmas outfits for Santa and animals! · Choose from warm winter clothes, funny hats, cute scarves, shoes and more fashion items! · NEW! Run your own ice cream shop and make yummy frozen desserts for your clients! · NEW! Collect as much gifts as you can and give them to your friends animals! · Learn how to bake Christmas cookies with lady Penguin and decorate them as you like! · Join your penguin friends, watch videos together and get more coins! 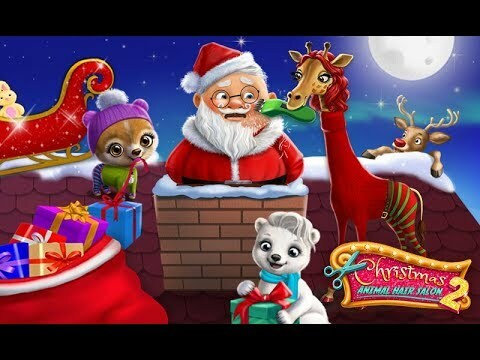 · Play every day, unlock new levels and collect all Christmas tree decorations!